Dubai’s sluggish housing market appears to have bottomed out, raising hopes for a mid-2017 rebound as oil prices perk up and the city begins preparations for the World’s Fair in 2020, according to a new report. Luxury home prices in the emirate fell dramatically in the past several years, but 2016 showed signs that the market has finally reached its low point, according to Knight Frank’s United Arab Emirates outlook released on Thursday. Prime residential home prices decreased by 4% in 2016, compared to 5% the year earlier, and important indices have showed sales prices remaining flat since August. “This leads us to believe the residential market is reaching its cyclical trough,” Knight Frank’s analysts wrote in the report—a sign that home prices and sales volume will begin their recovery in 2017. “We expect the residential property market in Dubai to gradually recover in 2017 with a potential uptick in sale prices and rents from mid-2017 onwards,” the report said. 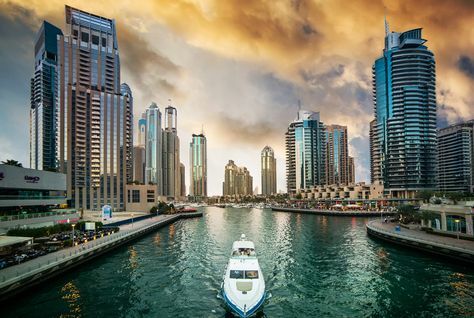 The real estate consultancy predicts the residential market will regain strength as the government spends on infrastructure ahead of Expo 2020 and international corporations, which have come to Dubai as a regional hub, continue to expand their presence there. An expected bump in oil prices in 2017 will also help boost government budgets in the region, which will allow for more spending on metro, airport and road expansion and support overall growth in the economy, the report said. Meanwhile, oversupply, particularly among luxury units, has greatly contributed to Dubai’s softening market in recent years. That realization has triggered developers in the city to phase out previously announced projects. A special judicial committee with Dubai Courts put out a list in October of 166 canceled real estate projects, both commercial and residential. The cancellations are a sign that Dubai’s real estate market has matured and will become more resilient, Knight Frank said. But Dubai’s property market will face some potential headwinds in 2017, too. The UAE dirham is pegged to the U.S. dollar. So, if the dollar strengthens, Dubai’s all-important tourism and retail sectors—and its real estate—could become more expensive and thereby less competitive, according to the report. All rights reserved to the initial publisher for Mansion Global.